Check out eighteen feet of open water dominance. 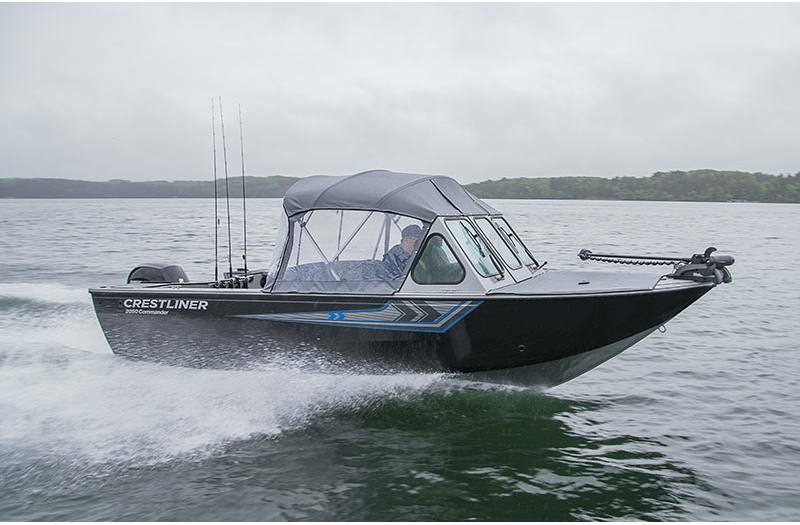 This all-welded aluminum fishing boat is built with the kind of features anglers look for. 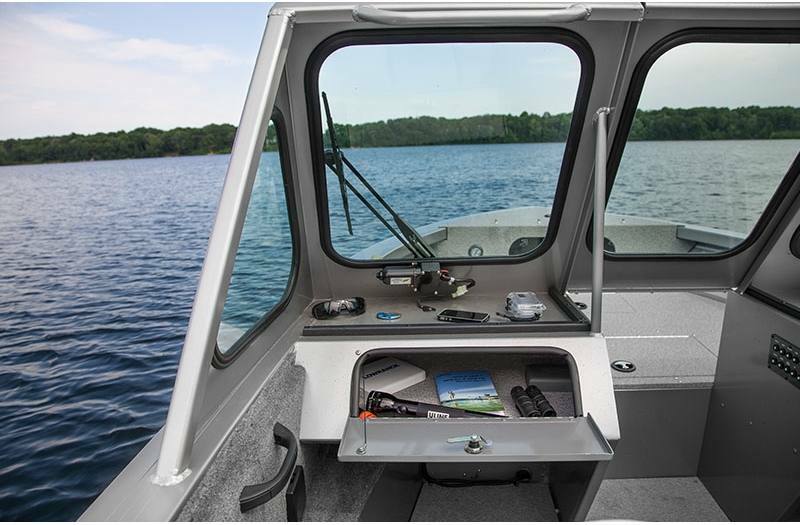 Like an aluminum console, ample rod and livewell storage and a heavy duty windshield, for starters. 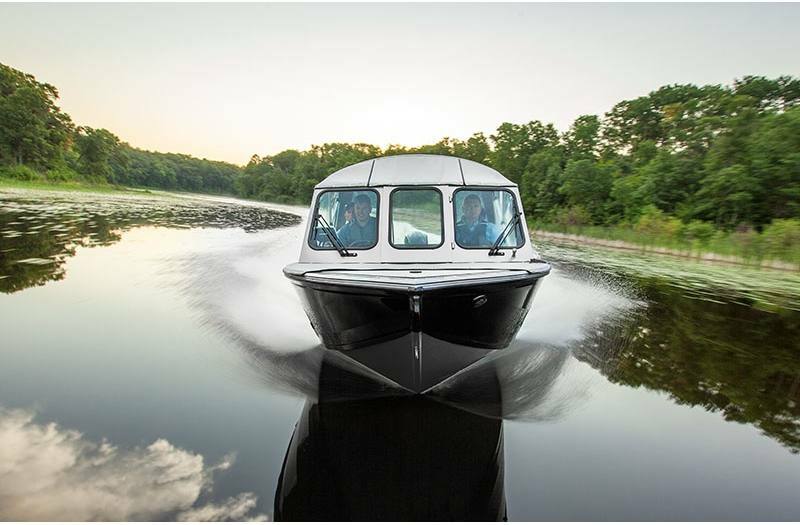 Add on other options like a heavy duty canvas roof, a comfortable side bench seat or washdown system for easy cleaning and you're all set to command the open water. 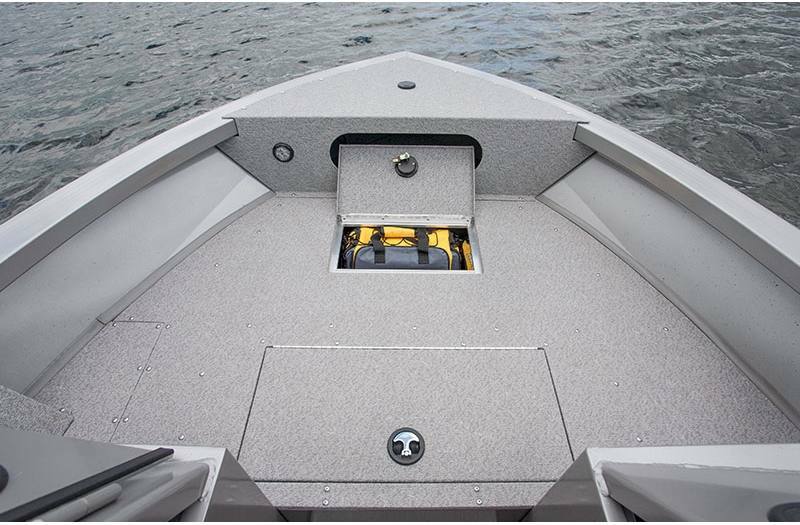 Bow Aerated Livewell: You'll find an 18-gallon aerated livewell in the bow, right where you need it. Aft Cutting Board: Starboard aft cutting board comes with a drain hole for easy cleanup. 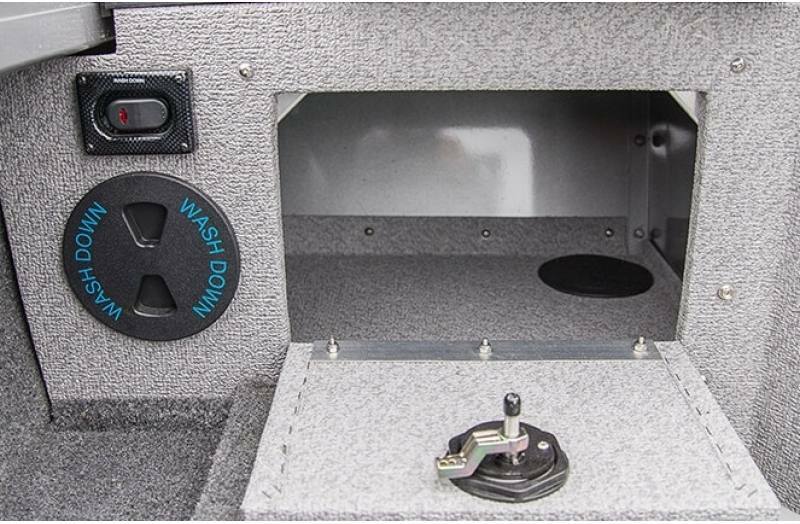 All-Aluminum Console: The sturdy and roomy console features large, flat surfaces for mounting electronics and direct-mounted gauges. 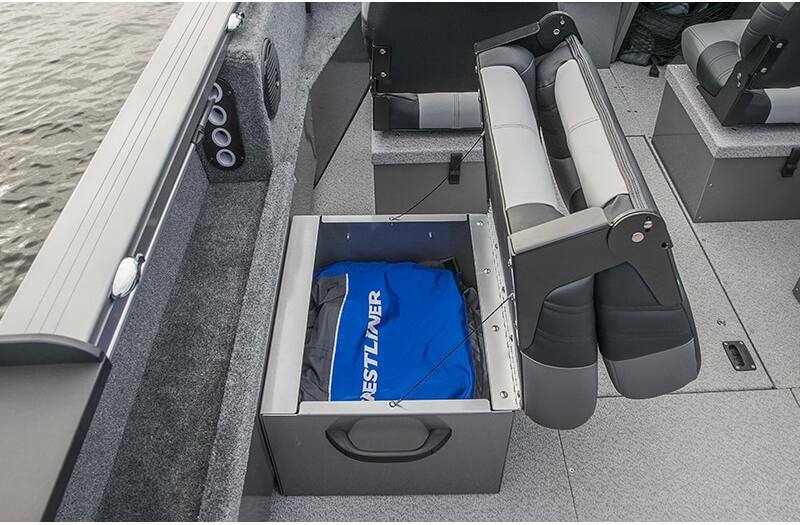 In-Floor Rod Locker: Load up to five 7' rods into a locking center rod locker. 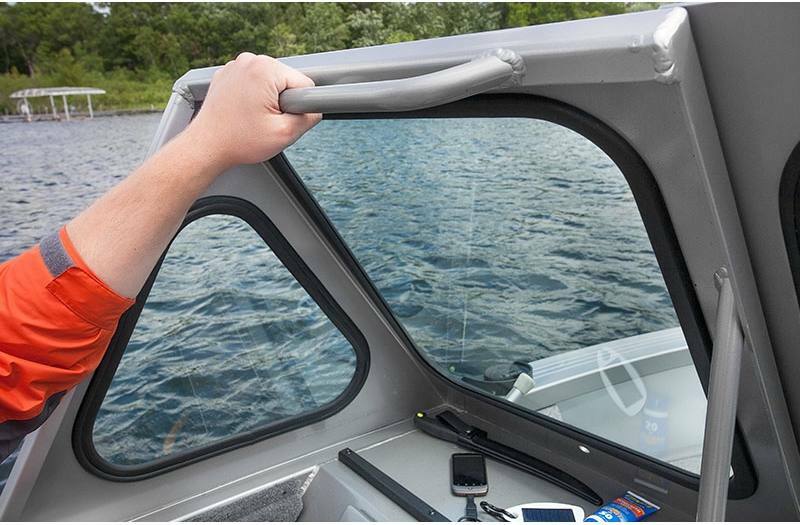 Under-Gunnel Rod Racks: Easy-access starboard and port under-gunnel rod racks for all your rods. Each side has 4 tubes w/ 9'6" cap. 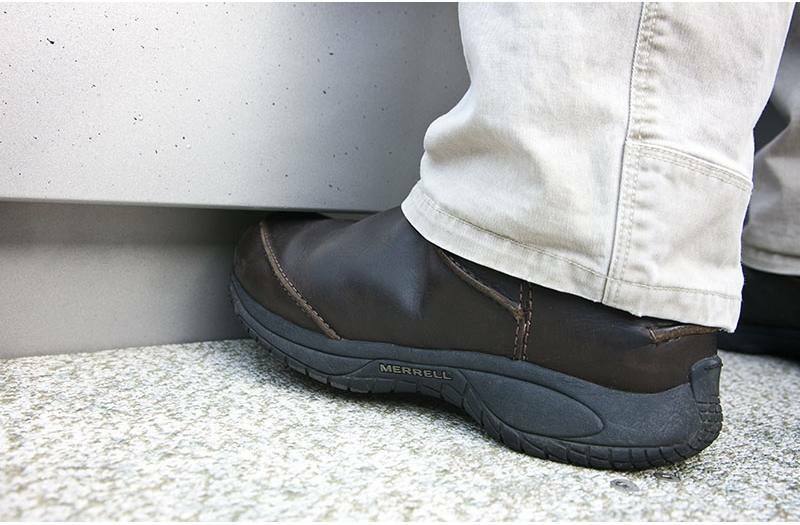 Heavy-Duty Canvas: Stay prepared with an optional heavy-duty canvas for foul weather. 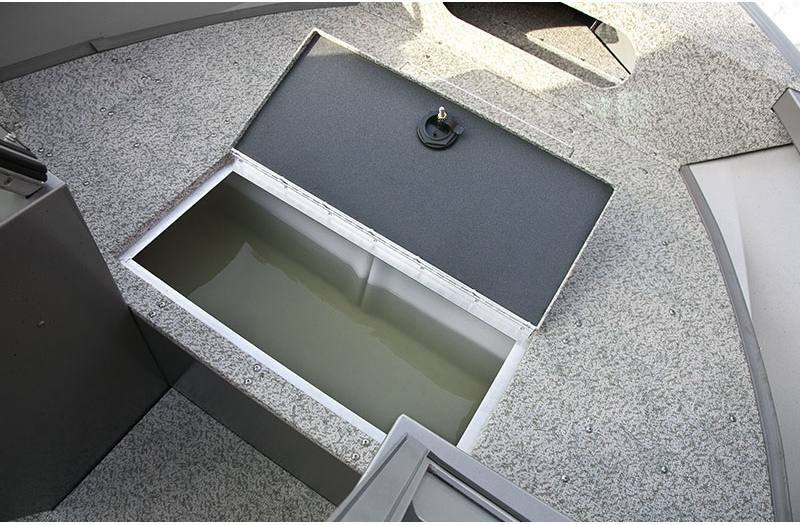 In-Floor Fish Box: Keep your catch on ice with the optional in-floor fish box. 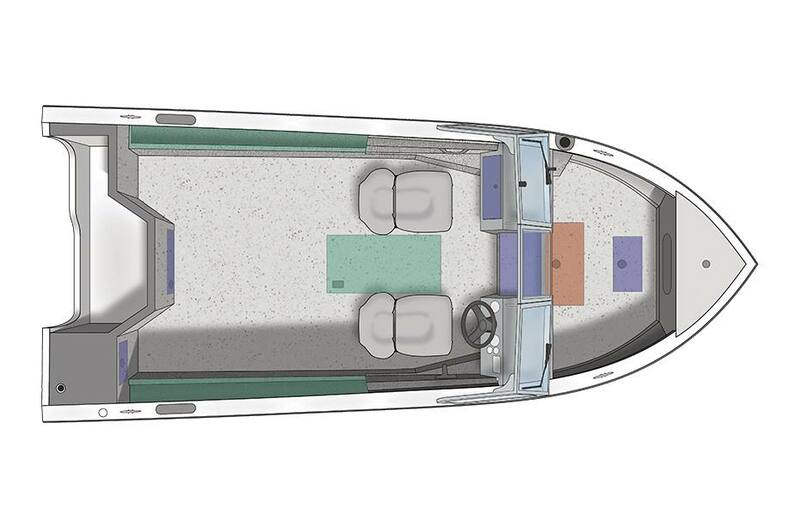 Side Bench Seating: Port and starboard side bench seating with ample tuck-under storage. 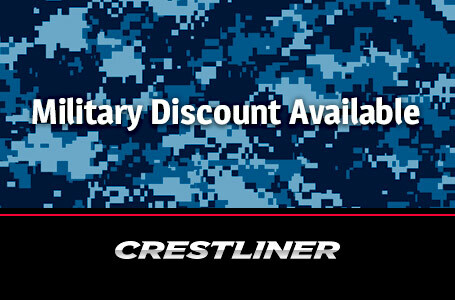 Washdown System: Easily hose down your Crestliner after a tough day of fishing with the optional heavy duty Washdown System. 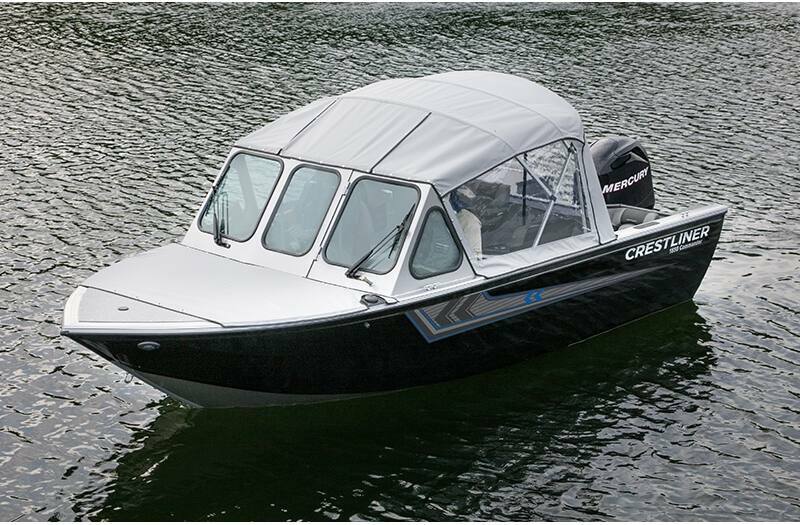 Boat/Motor/Trailer Height: 7 ft. 4 in. Max Cockpit Depth: 30 in. 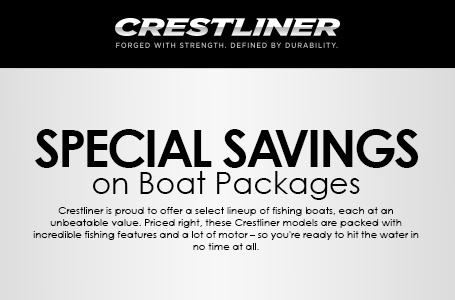 Weight (Boat only, dry): 1,565 lb. Max Weight Capacity: 2,101 lb. Max. cockpit width: 71 in.